Automation, transfers and investing. The UK’s fintech industry attracted over $16bn investment in the first half of 2018. Fintech vows to be the solution for the banking industry’s recent complacency regarding customer centricity, money transparency and firm reputation. This talk is all about utilising the latest technology to develop good personal finance habits, budgeting hacks and ways to invest your money. For instance, using standing orders to save money at the start of every month or open banking apps such as Yolt to manage your money across accounts and review your spending history against your budget. 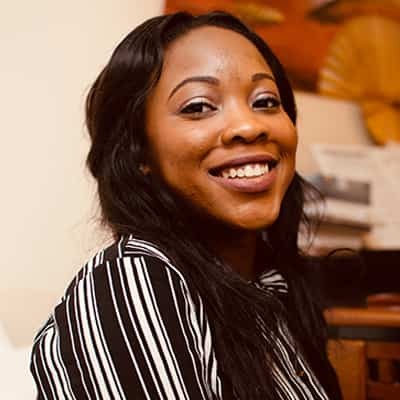 Mary Agbesanwa is passionate about encouraging millennials to tap into their potential. Mary works as a Management Consultant at PwC UK advising financial services firms to help them solve operational and regulatory-driven problems. She also co-leads the firm’s Multicultural Business Network which celebrates the multiculturalism of PwC’s UK firm. Outside of work, she blogs on her Medium blog, A Millennial’s Diary, about careers and personal development for millennials, and runs a female professional millennial community called Now You’re Talking. She was awarded Number 13 in the EMpower Top 50 Ethnic Minority Future Leaders List, presented by the Financial Times and won the Aspiring Talent Award in the Birmingham Young Professional of the Year Awards in 2016.